Feel warmth under your feet with underfloor heating! Nothing keeps you cosy quiet like underfloor heating when it comes to tiles, especially if you are renovating or fitting some brand new beautiful floor tiles in your home. You would think there is a long list of items you need to purchase in order get underfloor heating fitted but fortunately this isn't the case! Doesn't look too scary after all! WHERE CAN I INSTALL IT IN MY HOME? 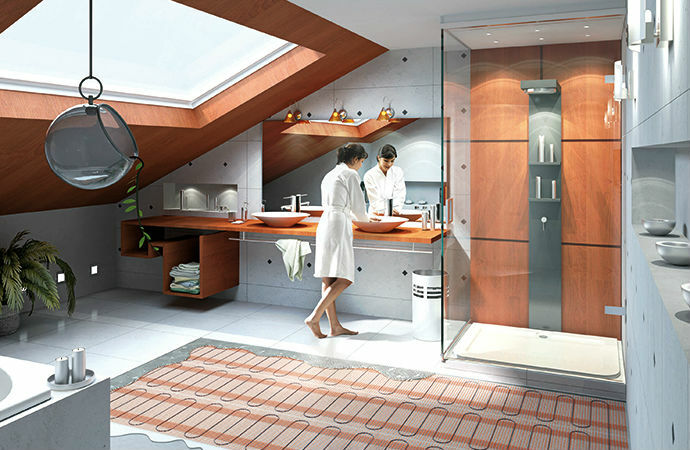 Underfloor heating can be Installed in the bathroom, kitchen and other rooms in your home creating a beautiful warm floor that provides a wonderful touch of affordable luxury. Install directly underneath the tile, on timber and concrete substrates to ensure the floor warms quickly and evenly as the mat or wire are laid where you need the heat. The system is laid preferably with insulator mats but not necessary, the tiler will install the mat appropriately, and then lay out the underfloor heating system. Once this is done the self-levelling compound is applied to cover the mat or wire; just so the wires are protected from any nicks of a trowel, and then your new tiles are ready to be fitted! You must remember you need a qualified electrician to set up your timer. The installation of under tile heating is flourishing at the moment and one room in particular is in the spotlight... the conservatory, one of the most popular places for underfloor heating with tiles along with bathrooms. It’s easy to see why because these rooms are frequently portrayed as cold space during the winter but with under tile heating those days are a thing of the past. WHAT CAN I EXPECT FROM UNDERFLOOR HEATING? Turn your Icelandic home into a cosy warming wonderland with Raychem under tile heating systems. Raychem offers the most efficient, economical, flexible, and fast acting solutions for your comfort. 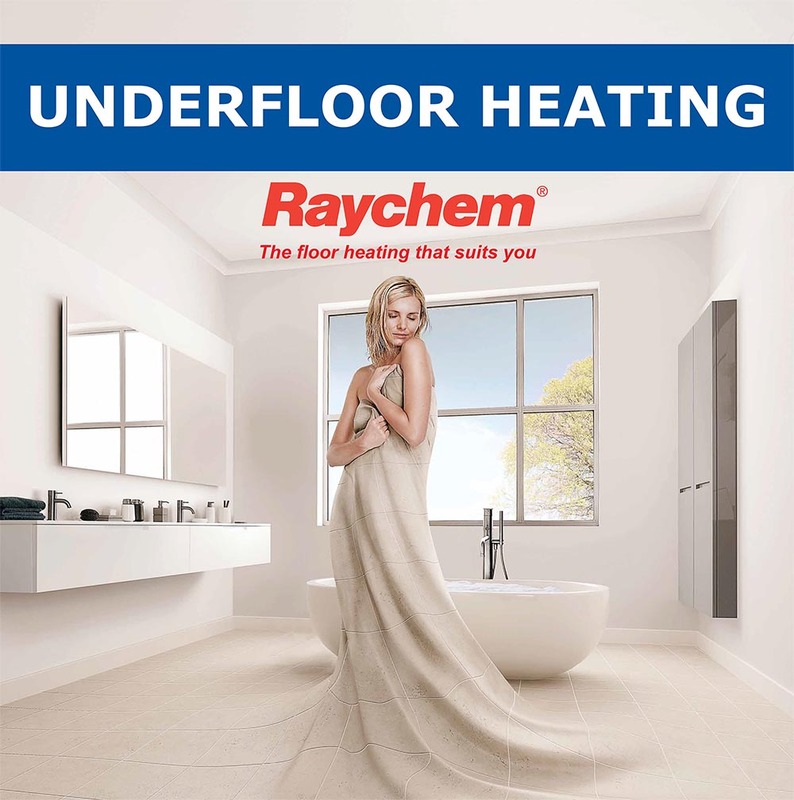 Wrap yourself in the luxurious warmth of a Raychem heated floor available at CTD Tiles online and in CTD tile stores. 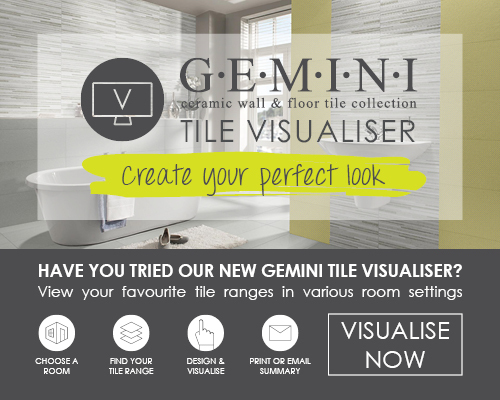 WHAT TILES CAN BE USED WITH UNDERFLOOR HEATING? All CTD floor tiles are suitable for underfloor heating, however we do recommend the use of a porcelain tile with its stronger and heavy weight qualities. You must make sure your tiler uses the correct adhesive and grout. The fixing material must be flexible and in some cases the adhesive has to be ‘two-part’, also the programmer must be installed by a qualified electrician. If you require any further information about underfloor heating please send us a message using our contact form or pop into your local CTD Tiles store our advisors are full of knowledge and always on hand.